I have been mildly obsessed with the recently released soundtrack of Hamilton – a musical that initially started off Broadway but is now gaining popularity and on Broadway in New York. I’ve only been able to listen to the soundtrack (because I’m broke and live on the west coast of the US) but reading through reviews (like the bromance at the revolution) makes me love this musical so much. The soundtrack is available on Spotify and I just so love it. 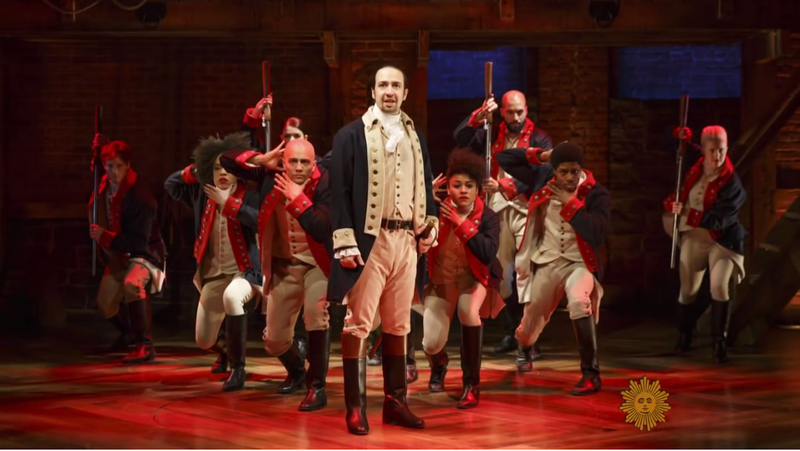 Lin-Manuel Miranda is the composer, lyricist, and star of the show and not only is the musical about the founding fathers but most of the music is actually hip-hop and rap. And it works so well. Miranda spoke about writing the musical in primarily hip hop and rap, saying that Hamilton’s story is very much a hip hop story. Plus, the cast looks much different than many other Broadway shows because the cast is intentionally mostly actors of color (with King George being the only main character played by a white actor). And the women of Hamilton (primarily the Schyuler sisters) are so amazing. I feel like I can really just go on and on about a musical I haven’t even seen. But for now, I’ll just be repeatedly listening to the soundtrack. ← Mental Illness, Violence, and Whiteness.